Why Do I Keep Hearing About 24CFR203.41? After working with FHA Condominium Project Approvals even for a short time, you will run into a condominium’s legal documents that violate 24CFR203.41. This section of the Code of Federal Regulations relates to the exemptions of what is called “free assumability”. That is, a third party may not infringe on the legal rights of ownership of real property. Enough with the legal jargon, let’s stick to “normal people” talk. Free assumability is normally threatened in the ownership of a unit in a common interest community, such as a condominium, planned community/PUD or Co-Op. These communities typically have their own governing documents by which all unit owners are required to abide. 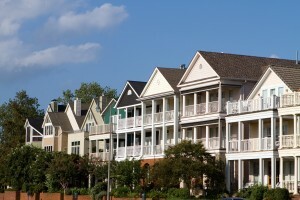 Some communities have restrictions on the leasing or sale of the units. They may allow sales to be voidable by third party entities (such as a Board of Directors). They may also require that a certain percentage of the proceeds from the sale of a unit be payable to a third party (such as the association). Legal restrictions imposed by eligible governmental and non-profit entities may be exempted if the restrictions meet certain criteria. One such criteria is that the restrictions terminate upon transfer of title or the mortgage to the Secretary of HUD. Financing involving the sale of tax-exempt bonds. The Connecticut Housing Finance Authority (CHFA) in the State of Connecticut, for example, offers mortgage loans for first-time buyers with down payment assistance and reduced interest rates. It accomplishes this through the sale of tax-exempt bonds. Upon sale of a home encumbered by a CHFA loan, the seller may incur a recapture tax under certain situations. This is allowed under 24CFR203.41 because CHFA is an eligible governmental entity. Exemption for protective covenants excluding non-elderly. This allows for FHA financing in age-restricted communities so long as this restriction does not impact marketability or violate Fair Housing or other laws against discrimination. Exemptions for special jurisdictions. This relates to mortgages on certain Indian land, Hawaiian home land, American Samoa and the Northern Mariana Islands that meet the requirements to be deemed as eligible areas of exception (which is beyond the scope of this article). All other legal restrictions were originally said to render units ineligible for FHA financing. Set a maximum number of units that may be leased at any time. Condominiums with leasing and conveyance restrictions that do not meet the exceptions in the Section or page 26 of the Guide are not eligible for FHA condo project approval, and, therefore, FHA financing.